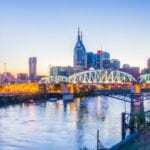 MEMPHIS, TN — As one of the leading scientists in the world in the field of cardiovascular biology, Gadiparthi N. Rao, PhD, is understandably busy. The George and Elizabeth Malloy Professor in the Department of Physiology in the College of Medicine at the University of Tennessee Health Science Center (UTHSC), he has had four grants renewed by the National Institutes of Health in 10 months with a grand total of $6,722,099. Dr. Rao’s research focuses on vascular wall remodeling following injury, diet-induced atherosclerosis and abnormal new blood vessel formation as it relates to proliferative retinopathy. His four-year grant, “NFATs and Vascular Injury,” explores restenosis (narrowing of the coronary artery) after a corrective heart procedure. 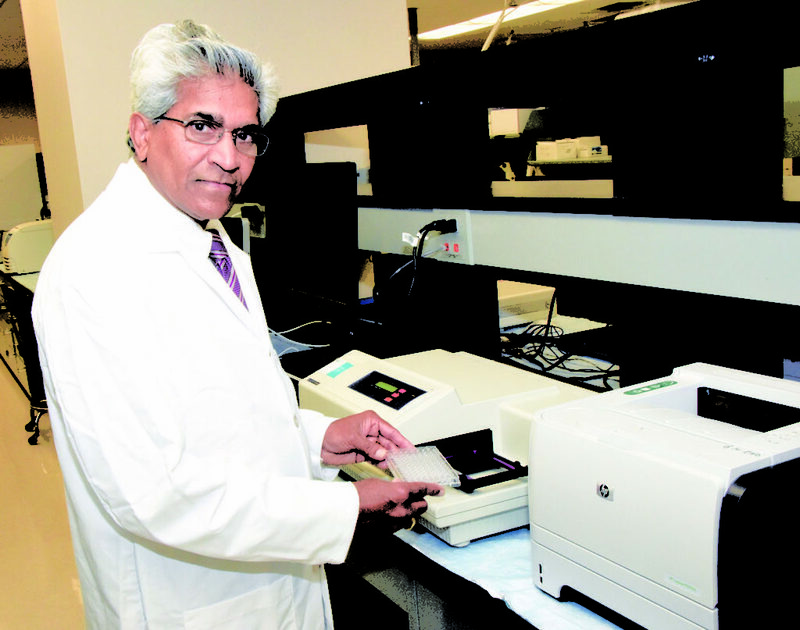 Through experimentation, Dr. Rao and his research team aim to identify the gene LMCD1 as a transmitter of the condition. If research is successful, it could lead to therapeutic drug development to decrease the chances of developing restenosis after surgery. Atherosclerosis occurs when the arteries harden and narrow. As a result of cell dysfunction, inflammation occurs and can lead to extensive cardiovascular damage. Dr. Rao and his team have identified Resolvin D1, a lipid molecule, as one that may have protective role against endothelial dysfunction. With the help of a four-year grant study, “Lipid Mediators and Vascular Diseases,” they will perform various experiments to determine the effectiveness of the molecule, in the hopes that it will lead to development of strategies to reduce the risk of atherosclerosis. In the four-year grant-funded study, “GPCR Signaling and Vascular Wall Remodeling,” atherosclerosis is also the focus. However, this study delves into the condition’s mechanisms that lead to the formation of lesion-related thrombosis, or the formation of a clot within the blood vessel. Researchers will provide insight through experimentation by showcasing the involvement of thrombin and its receptor, Par1, in the beginning stages of atherosclerosis. 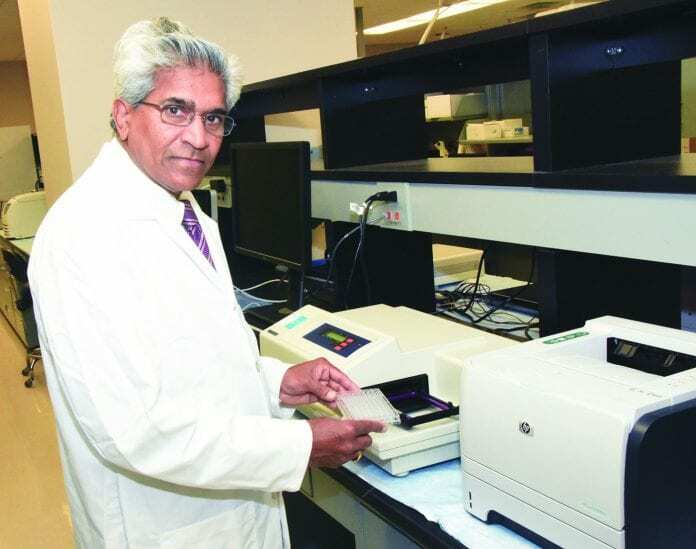 Dr. Rao also has funding for a five-year study focusing on retinopathies/proliferative retinopathies and age-related macular degeneration, which are the leading causes of vision loss. The central factor associated with these diseases is increased vascular permeability and formation of new blood vessels that are more vulnerable to hemorrhage. In the five-year study titled “Mechanisms of Retinal Angiogenesis,” Dr. Rao and his research team will explore the mechanisms of pathological new blood vessel formation that may lead to the development of therapeutic treatments against these ocular diseases. The National Institutes of Health (NIH), the nation’s medical research agency, includes 27 Institutes and Centers and is a component of the U.S. Department of Health and Human Services. NIH is the primary federal agency conducting and supporting basic, clinical, and translational medical research, and is investigating the causes, treatments, and cures for both common and rare diseases.